Inviting and recruiting British nuclear test veteran families, plus control families, to CHRC’s ‘Genetic and cytogenetic Study’ is a process that takes time to get right. In January this year, we had the go-ahead to start sending out invitation packages to veteran couples via their GP. Once couples respond, there are many screening and interviewing steps we need to do, so that we only include consenting, eligible individuals in our study. The multi-step process is shown in a diagram here. This process has been designed this way, along standard and rigorous scientific principles, so that the study is as fair as possible, limiting bias which might otherwise mean the study’s findings aren’t as strong as they must be. We have now reached the milestone of 50% of our recruitment target. Our target is for 100 family trios – each trio being a biologically related group of father, mother and child – split evenly between nuclear test veteran families and control families. We are also regularly receiving blood from those family trios who have reached the end of our multi-step recruitment process. We have already started the genetic and cytogenetic testing of blood samples, so analysis is well underway. In the meantime, families continue to move through our recruitment process. It is time-consuming and involves a good deal of effort, so it is rewarding to see, week by week, more blood samples arriving at our labs. This recruitment rate is in line with our expectations, and we will provide an update when we have hit 100% of our target. 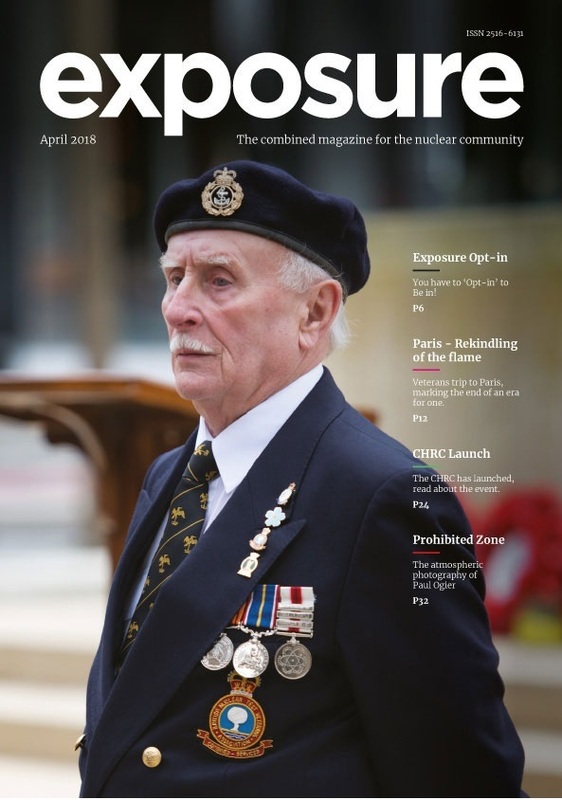 Exposure: The new magazine for the British Nuclear Test Community is coming soon. Find out more here. A news article published by the Sunday Mirror in April 2018 claims that the Nuclear Community Charity Fund Genetic Study is having difficulty finding enough families to take part in their study. In fact, the study team are making steady progress with recruitment, as veterans are invited to take part in a continuous flow, with many invited veterans and their families now progressing through the various stages of the study (eligibility, consent, interview) prior to the blood sampling stage at the end. The study team would like to thank all participating families for their support of the study and are grateful for all replies from respondents who have been invited to participate in the study via their GP practice. Unfortunately, the study team are unable to accept volunteers for the study due to the bias that this may create, but would appeal to veterans who have been sent a letter from their GP practice to respond to the study team if they think they might be eligible to take part.